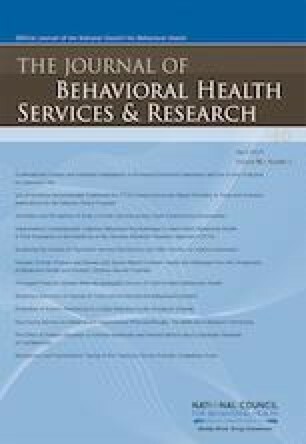 Few evidence-based psychotherapies are provided in adult public behavioral health (PBH), despite the need for such treatments. The common elements treatment approach (CETA) was developed for use by lay providers in low- and middle-income countries and may have relevance in PBH given its unique application with individuals with multiple diagnoses including PTSD, depression, and anxiety. This study utilized data collected as part of the implementation of CETA in 9 PBH agencies in Washington State with 58 providers, including a 2-day workshop and 6 months of consultation. Outcomes included provider-perceived skill in CETA delivery, training and consultation completion rates, and perceived appropriateness of CETA for clients. Thirty-nine (67%) providers completed requirements for training and consultation, and delivered CETA to a total of 56 clients. Perceived competence in delivering CETA improved over time, as well as client symptom scores. CETA shows promise for feasible and effective implementation within US-based PBH systems. Original development of CETA and testing in LMIC was funded by USAID Victims of Torture Fund. Funding of the current study was supported by NIMH grants UH3MH106338-03S1 and T32MH082709. The authors would like to acknowledge USAID/Victims of Torture Fund as the funder for the design, development, and early feasibility and effectiveness trials of CETA in Lower- and Middle-Income Countries. The fourth and fifth authors are CETA developers; both have been paid to provide CETA trainings. The remaining authors declare no conflicts of interest. President’s New Freedom Commission on Mental Health. Report of the president's new freedom commission on mental health. Retrieved from http://govinfo.library.unt.edu/mentalhealthcommission/reports/reportshtm . 2003. EBP Technologies LLC. EBP Toolkit. https://www.ebptoolkit.com/ . 2017.